Natàlia Carulla and colleagues from Belgium and The Netherlands describe how to prepare a specific type of amyloid-β peptide (Aβ) aggregate, considered the pathogenic molecular form of Aβ in Alzheimer´s disease, with the ability to perforate cell membranes. In the context of Alzheimer´s disease, this discovery suggests that the aggregate can also perforate the membrane of neurons, alter the equilibrium of these cells, and trigger their death. What causes neuron death and the subsequent cognitive decline in Alzheimer´s disease is still unknown. The discovery was published in in the journal Proceedings of the National Academy of Sciences. Image: Artistic representation of neuronal damage in Alzheimer's Disease (Antònia Casanovas). Changes in the shape of proteins are very difficult to observe in real time and the methods used to study them involve costly simulations. 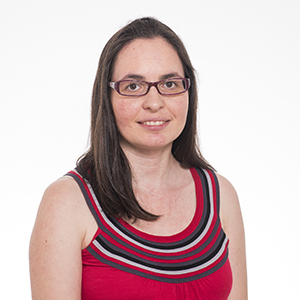 A joint study led by IRB Barcelona alumna Laura Orellana, now at the KTH Royal Institute of Technology in Stockholm, has led to the development of a much simpler method. “It is like an impressionist painting, in which you can appreciate the general picture but without many details. Using these models, we get a view of the entire molecule and they also allow us to study changes in large proteins, using a laptop, in only a few minutes,” she explains. Evolutionary changes in organ morphology have been key to allow animals to adapt to diverse habitats. But how can simple genetic changes give rise to modified organs? 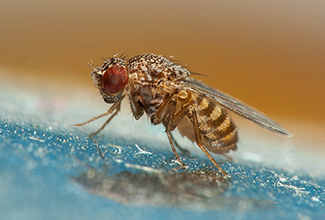 A paper published by Jordi Casanova's group, in collaboration with the Institute of Evolutive Biology (IBE), analyses the expression and function of two regulatory genes, spalt and cult, in the develping tracheal systems of two insect species, the fruit fly Drosophila and beetle Tribolium. Image: David Marquina Reyes. Disordered proteins could be potential drug targets for diseases such as prostate cancer and some neurodegenerative diseases. Xavier Salvatella and colleagues have discovered a certain degree of structure within the disordered region of the Androgen Receptor, a protein involved in prostate cancer and Kennedy Disease. “This protein is like a chamaleon,” explains Salvatella. “It’s highly flexible and dynamic, and these properties allow it to take on many forms.” Image: Frank Winkler, adapted by Albert Ros Lucas. 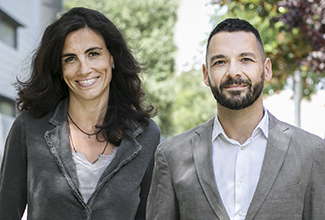 Benjamí Oller, Macarena Sánchez, Ernest Giralt, and Meritxell Teixidó have published a review on the emerging field of shuttle peptides—molecules that have the capacity to transport drugs across the Blood-Brain Barrier (BBB) and thus treat diseases affecting the central nervous system. In recent years, transporters based on peptides are attracting attention in the field due to their low production cost, reduced effect on immune system response, and chemical versatility compared with traditional antibodies and other larger proteins. The review article presents the BBB as a formidable obstacle but at the same time a great opportunity for the administration of drugs to the brain. Pauson-Khand reaction expert Xavier Verdaguer, associate researcher in the Asymmetric Synthesis Lab, has written an article on a study by Chuang et al. that describes a new method for the artificial synthesis of a plant-derived molecule that has potential pharmaceutical applications. The Pauson-Khand cycloaddition reaction facilitates a rapid increase in molecular complexity and is crucial to finding synthetic methods for drug development based on complex molecules. IRB Barcelona and the Graduate School of Pharmaceutical Sciences of Tohoku University in Japan have signed a new academic exchange agreement. 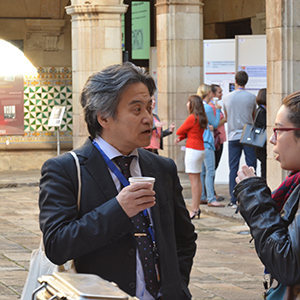 In August, the Dean of the Japanese institution Tetsuya Terasaki and IRB Barcelona Director Joan J. Guinovart endorsed a long-standing collaboration between chemists at the two centres. 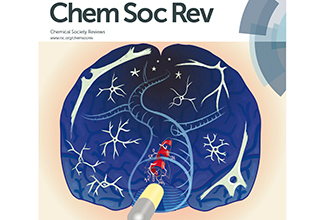 The collaboration, based on common interest in “regioselective transport” of Blood-Brain Barrier shuttles, has already brought about academic exchange. Terasaki co-chaired a recent Barcelona BioMed Conference with Ernest Giralt dedicated to the Blood-Brain Barrier. The Bilbao Exhibition Center in Barakaldo (Vizcaya) is the venue of BioSpain 2016, the eighth edition of the biennial biotech gathering. This is the most important event in this sector in Europe and is permanently held in Spain, and the fifth-ranked event worldwide for the number of partnering meetings held. Head of Innovation Cristina Horcajada and Industrial Liason Officer Tiago Botelho are in Bilbao from 28 to 30 September to present IRB Barcelona’s innovation portfolio. 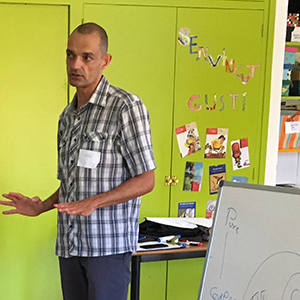 Jordi Gaitan has joined the ranks of the Tandem project, a science education collaboration that IRB Barcelona began with the Mare de Déu de Montserrat school in Cornellà. This project, implemented with the collaboration of the Catalunya–La Pedrera Foundation, aims to boost academic results in the school through science and biomedicine. 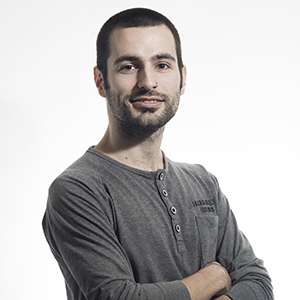 Jordi’s job is to advise the Tandem team about how to include new teaching techniques when designing the academic curriculum. After working with the Mare de Déu de Montserrat School for a year, the Office of Communication and External Relations has put together a video portraying the learning experiences of teachers and pupils of the school. 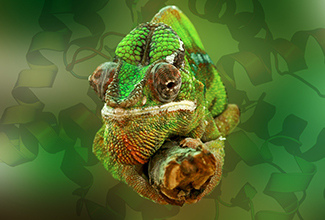 If you are in the first year of your baccalaureate studies, you have a special interest and talent for the life sciences, and want to have an extraordinary year-long experience, you have until Sunday 23 October to apply for the Crazy About Biomedicine programme, now in its fifth edition. 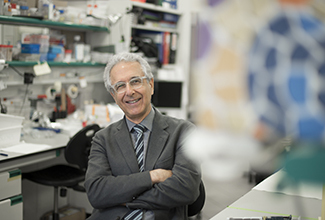 The Chilean University has recognised IRB Barcelona Director for his “outstanding career in biochemistry and his contributions to research, in particular, in relation to alterations in diabetes and to Lafora disease.” The Doctor Honoris Causa award ceremony will take place on 1 December on one of the campuses of the Santiago de Chile University. 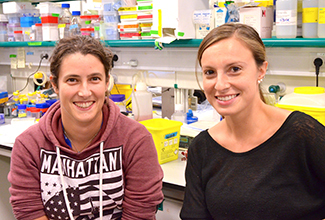 On 22 September, postdoctoral fellows Jelena Urosevic and Carles Barceló were presented with funding from the Asociación Española Contra el Cáncer (AECC) for their respective 5-year research projects on colon cancer. “Research is the only weapon we have to fight cancer,” says Urosevic. “The economic and social return for every euro invested is enormous,” adds Barceló. 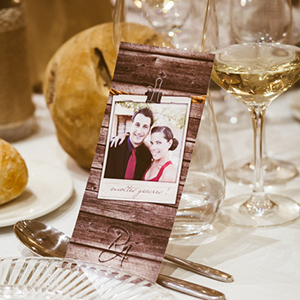 IRB Barcelona alumnus Alex de la Fuente and his wife Raquel Moreno had a very special idea for their wedding celebration. Instead of giving the usual commemorative gift to guests, they decided to use that money to make a donation to research in their name. “Research can move forward only if we all support it,” they think. A lawyer among pipettes. 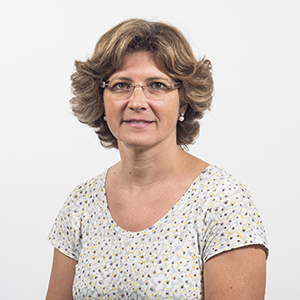 In September, IRB Barcelona recruited Cervelló for the newly created post of Head of Legal Services. “I am looking forward to supporting researchers with all their legal questions,” she tells in vivo. She does not feel like a stranger among scientists. “Research and development are fields that have always attracted me,” she says. 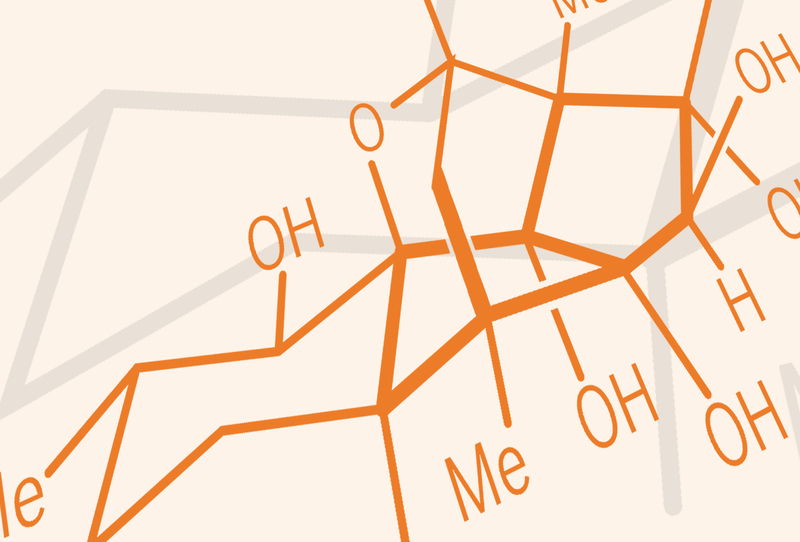 From chemical design to synthetic biology: two strategies to tackle the BBB. Back from a rewarding 3-month stay at Yale, PhD student Arranz already has new ideas in mind to overcome the barrier that makes it so difficult to design drugs to cure neurological diseases. “The environment there was fantastic,” he says. His idea is to return to Yale as a postdoc to continue the project he began. Barcelona BioMed Conference. Chairs: Jordi Casanova, IRB Barcelona/IBMB-CSIC & Jean Paul Thiery, National University of Singapore. This 3-part course introduces new students to IRB Barcelona, including an overview of scientific facilities and resources, and services provided by the admin team. Organizers: Eduard Batlle, Salvador Aznar Benitah, Raúl Mendez (IRB Barcelona and ICREA) in collaboration with BioCat. Invited speakers: David del Álamo, Maria del Mar Dierssen Sotos, Ana Puy Rodríguez, Maria J. Macias, Raquel Roca. Barcelona BioMed Conference. Chairs: Maria J. Macias, IRB Barcelona & Hartmut Oschkinat, Leibniz-Institut für Molekulare Pharmakologie (Berlin, Germany).